More than thirty years ago F. A. Hayek said of Socialism: “It was a work on political economy in the tradition of the great moral philosophers, a Montesquieu or Adam Smith, containing both acute knowledge and profound wisdom. . . . To none of us young men who read the book when it appeared was the world ever the same again.” This is a newly annotated edition of the classic first published in German in 1922. It is the definitive refutation of nearly every type of socialism ever devised. 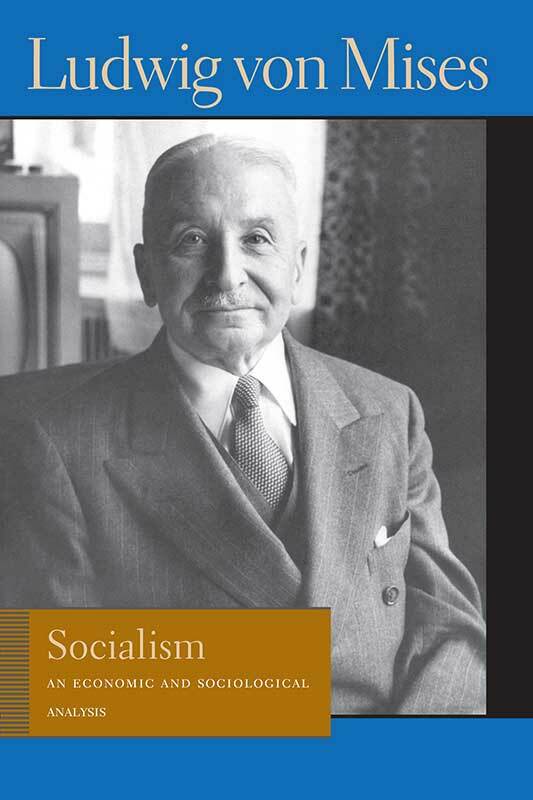 Mises presents a wide-ranging analysis of society, comparing the results of socialist planning with those of free-market capitalism in all areas of life. Foreword, epilogue, index to works cited, index to subjects and names, biographical note.